When he turns 18, Woo Jin found out that he changes into different person every day. He lives with his secret every day until he enters into the adulthood. He works as the secret carpenter while keeping secret hidden away from the public. One day, he falls in love with Yi Soo (Han Hyo Joo) when he visits a furniture store. He decides to take the initiative to go on a date with her until he reveals his secret to her. She is surprised and angry at first but she accepts for who he is. Their romance is beautiful but twists and turns happened along the way. Woo Jin changes into different person. Men and women. Young and old. Local and foreigner. Multiple casts, from Kim Dae Myung to Yoo Yeon Seok, take the initiative to portray Woo Jin who has his own personality and character. Different casts focus on the same character’s traits that don’t confuse the audiences as they watch the film as Woo Jin. Hyo Joo went along with each cast that reflects the strong chemistry between them. 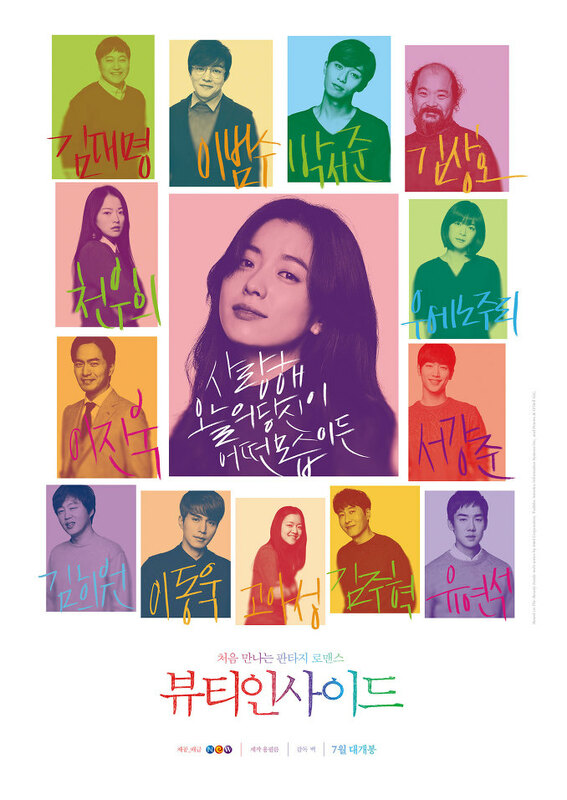 Along the way, it further builds up both Yi Soo’s and Woo Jin’s character without much disappointment as the audiences watch the relationship between them. It is the right amount of good casts in portraying one character throughout the whole film in two hours. Woo Jin has been lonely since high school till he finds Yi Soo, the love of his life, that accept who he is on the inside, not the outside. By being together as a couple, there is plenty of love and happiness that blossom in romantic scenes. Towards the climax, Yi Soo is confused about Woo Jin’s secret that made her confused about who is the man that she has been dating for all these years. Similarly, it ignites loneliness and depression within her. Although there are few romantic clichés, there are sweet and relatable scenes that audiences had experienced in their relationships or which to be in these romantic scenes. At times, audiences’ heart will be shaken by how facial identity impacts the relationship and happiness of Yi Soo and Woo Jin. The title, Beauty Inside, reflects the overall message of film. Even though Woo Jin changes into different persons every day, the beauty comes from what is in Woo Jin’s heart, thoughts and feelings that never change. The message itself convey to the audiences that no matter how we look, the heart that matters the most. Our own inner personality is beneficial to create memories and happiness with friends and loved ones. Will the relationship between Yi Soo and Woo Jin lasts? Beauty Inside is beautifully made with dialogues and scenes that would make you fall in love with. The cinematography on shifts of scenes and different casts on one character are done smoothly without so much confusion. The climax is one that strikes the chord of intensity that questions whether their relationship will last. Overall, the flow of relationship between Woo Jin and Yi Soo is a rollercoaster ride with cheesiness, romance, sadness and happiness. An enjoyable film to watch as it has great storyline, casts, and cinematography. It conveys that “inner self is the most beautiful”.